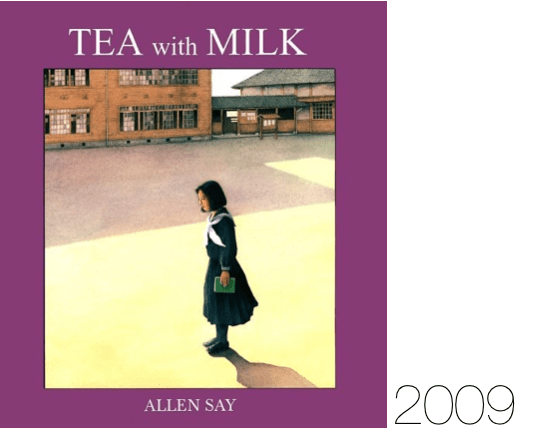 allen say’s picture book life + giveaway! Allen Say. Where do I begin? Grandfather’s Journey was the book that introduced me to Say’s work. It hit a nerve because it’s about home and the absence of home. All Say’s books are rooted in a certain time and place. In specificity. They are beautiful, realistic watercolor paintings accompanying unadorned text. They are straightforward and they always seem true. They have compassion for their characters. They reflect on the past in a way that is satisfyingly bittersweet. Say deals with culture in such a fluid, loving way. Culture and place are things we can leave and return to, things that will always be with us no matter where we travel or how we change. We can return to a culture or adopt parts of a new one. We can have two cultures simultaneously, always with our hearts leading the way. Nature. Generations. Japan. California. Immigration. Family. Duality. Kindness. Moments of beauty and connection. 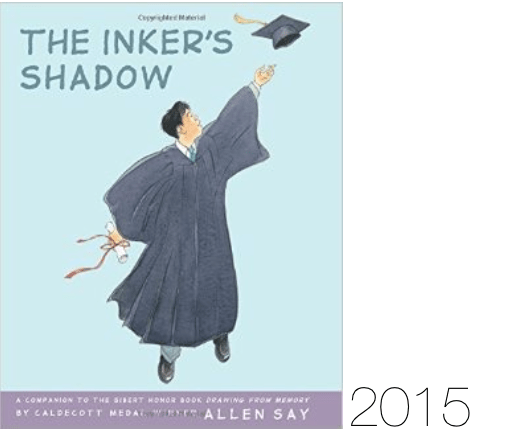 This is a book I fell hard for, long before I was immersed in picture books as I am now. It was a gateway for sure! Three generations. Two places. Journeys back and forth. About the book, here, Say remarks: “it is essentially a dream book, for the life’s journey is an endless dreaming of the places we have left behind and the places we have yet to reach.” Also, the way Say portrays light in these pages is incredible. A story of a dream of visiting a Japanese Internment Camp. A bad dream that ends with hope. A story of adoption in which a girl who questions why she isn’t with her “real” family eventually adopts a new family member of her own—a stray cat. It’s heartbreaking and poignant. Another favorite. This one encompasses so much, as chronicling one specific life does. Alice loved music and dancing, but so many things got in the way. World War II and being an enemy in her own country, building a farm and a life with her husband, colorful fields of gladiolas in the desert. And then, after a life lived, a husband passed away, Alice can finally dance. A celebration of Japan’s tradition of “paper theater,” an old form of storytelling that requires presence and attention (and, fittingly, one might say is a relative of picture books). Erika is an American who sees a print of a tea house in Japan and it guides her through life. She travels there to teach after college and meets a Japanese man who drinks coffee like an American, not tea. This is part of Say’s brilliance—the way he deals with traditions. You can find new ones and discover old ones whether they “belong” to you or not. Masako is also called May. She moves to Japan and finds herself a foreigner. In San Francisco: “At home she had rice and miso soup and plain green tea for breakfast. At her friends’ houses she ate pancakes and muffins and drank tea with milk and sugar.” In Japan: “They called her gaijin [foreigner] and laughed at her.” But then, she finds a way for herself. This is a story of a father and daughter, a daughter who doesn’t feel quite at home with her name, Yuriko. But, in line with the themes Say returns to again and again, she comes home to her name, to herself, to her identity—as Japanese-American, as an artist, as herself. This is Say’s illustrated biography and it also gives the backstory of where some of his stories came from. He was a boy who loved comic books and had to prove himself to his father who didn’t believe in him. He was so independent that he had his own apartment at the age of 13. But he found a sensei, and that made all the difference. In a way, the whole book is a tribute to his teacher and he even describes it in the afterword like they wrote it together. 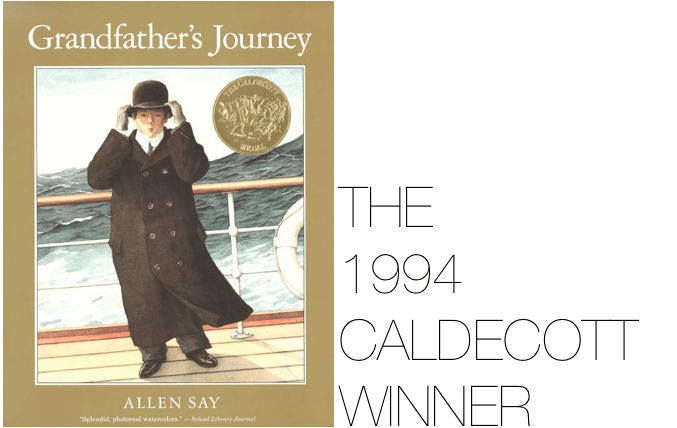 Like his stories and fiction, Say’s memoir brings tears too. A sequel to Drawing From Memory, this memoir picks up when Say arrives in America at the age of fifteen in 1953 and, once again, is very much on his own but in a new land, California. Remarkably, he manages well in a place where he doesn’t know the culture or language well and, to some, is still seen as an enemy. There are kindnesses of a few strangers in addition to his own determination despite a father who is not just unsupportive but cruel. His own drive and talent carve his way. The most amazing part is the end, where you find out Say’s mother had been born in San Francisco and that’s where Say heads after his high school graduation. There’s that connection with his mother from the first book coming back around and that duality from all his stories. His mother had told him, “Let your dear chid journey,” a Japanese saying. He journeyed. All the way to her other home. Because I love sharing books, especially by creators I admire, I’m giving away a copy of THE INKER’S SHADOW! Simply leave a comment on this post about Allen Say’s work to enter! 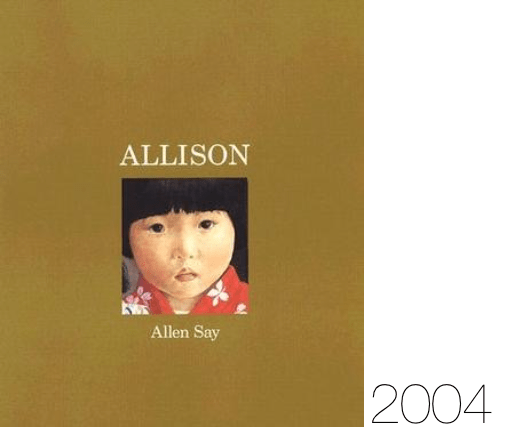 41 Responses to allen say’s picture book life + giveaway! I have always loved Allen Say and his work. Thank you for a lovely post! 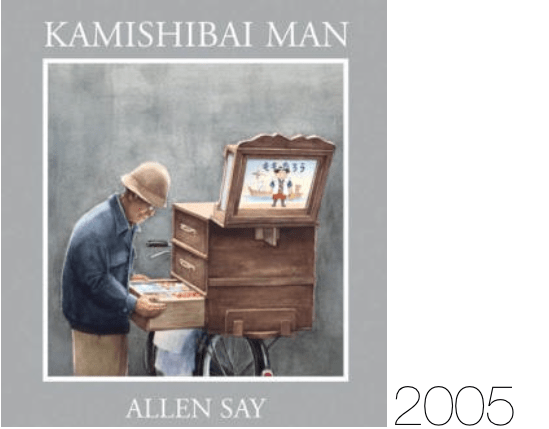 Allen Say’s stories are so moving and elegant. They reach children and adults with the same sense of wonder. Thanks for this wonderful post on his work. My pleasure—and your description (moving and elegant) is perfect! I love the beauty of Mr. Say’s work and would be honored to add this to my library. A beautiful man behind such beautiful work. He’s inspirational and grounding at the same time. Thanks for taking us on a walk with Mr. Say. 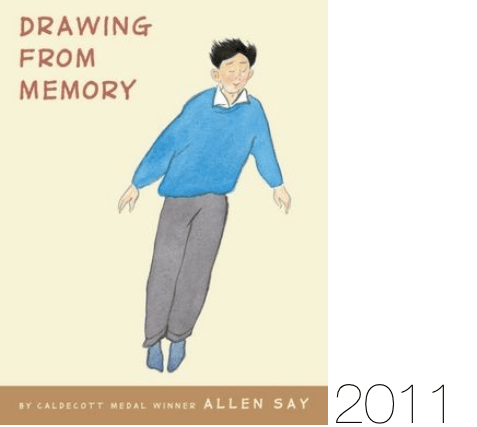 I LOVED Drawing from Memory–what a powerful book!! He’s an incredible artist. Thanks, Danielle! Home of the Brave hits hard. Reminiscent of Shaun Tan, but way more angry. I think it’s one of the truly great depictions of the unfairness of internment, and the helplessness and despair of those subjected to it. Kay’s twin memoirs are really wonderful, too….my 12 year old budding artist daughter enjoyed Drawing from Memory. 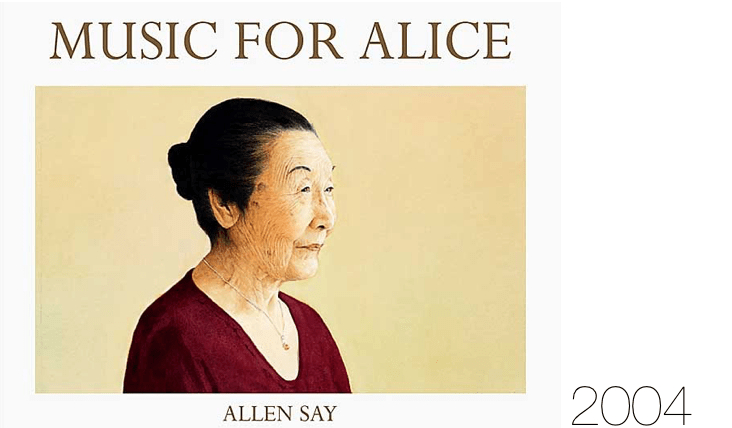 Thanks for such a great post about Allen Say! I love his work. Would you consider sharing this post with us at Literacy Musings Mondays Link-up? You can find it at http://pagesandmargins.wordpress.com/2016/03/13/literacy-musings-mondays/. Thanks! Sorry it was confusing as to how to link up! If you’re ever interested in linking up with us, just find the latest Literacy Musing Mondays link on my blog (the one for this week is http://pagesandmargins.wordpress.com/2016/03/20/literacy-musing-mondays/) and then click on the blue button at the bottom of the post (the one that says, “click to view and add your links”.) Then it will take you to a place where you can add the link to your post. We feature blogs about anything bookish or literary, so your blog would make a beautiful addition! Such beautiful work! I haven’t read a single one of his books. Clearly, there is a huge hole in my reading. Actually, there are many holes I’m sure. But this one, now identified, must be rectified immediately. SFPL, here I come! Thanks for highlighting Say’s work! 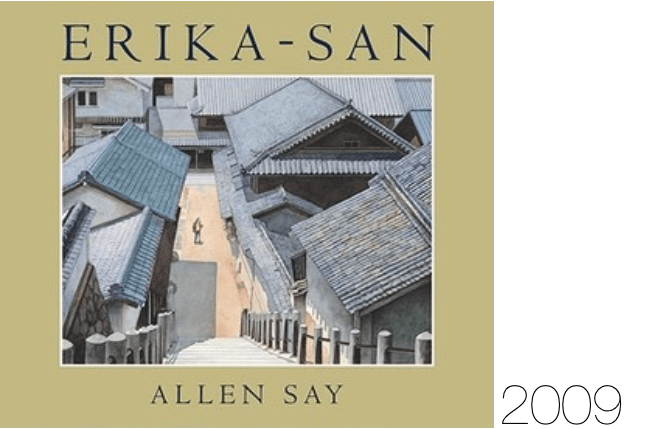 Lovely overview of Allen Say’s books. There’s a few books here that I’ve missed and will have to look into. 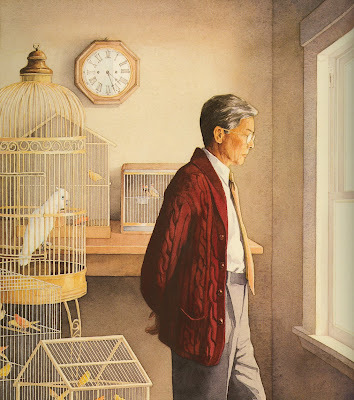 I love his elegant poignant stories and of course his gorgeous illustrations. 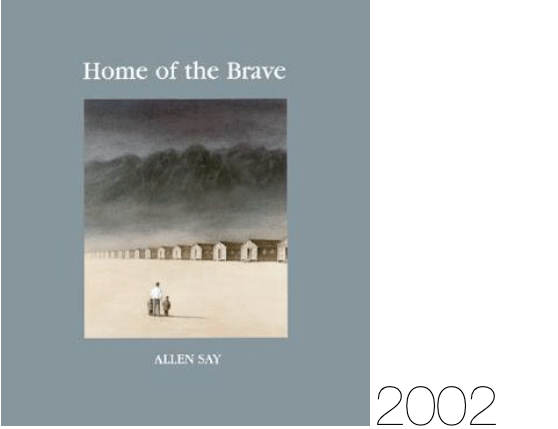 Thanks for this lovely essay on the work of Allan Say. Perfect for students and teachers to share. His work is so remarkable. It is no surprise to me that his stories come forth from his own life story. The heart of them always feels hard earned. Thanks so much for this post. Hard earned is a great way to put it and it resonates with me. Thanks for reading, Tina! 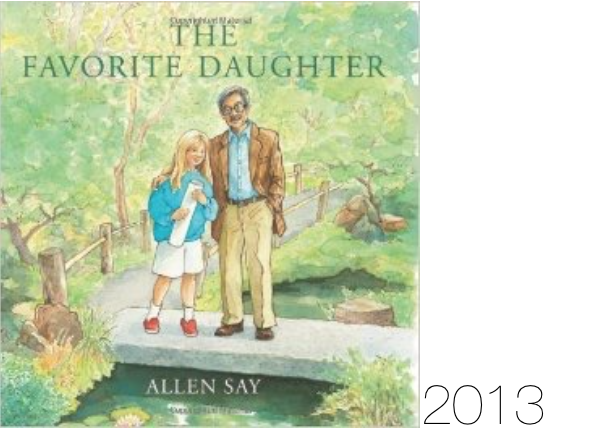 I am a huge picture-book fan, but somehow, I’ve missed Allen Say (I knew of him, of course, but haven’t read his books….how can that be?). You’ve made me want to run out and get them all immediately! Thanks for the introduction, and the chance to win. I am not familiar with his work but am excited to check it out. Thanks for posting about it! I’m so happy to have introduced you to Say’s work! Thanks for stopping by! I was recently at a Kid Lit Conference where we discussed vulnerability not as a failure, but as a weapon. It seems than Allen Say was really onto something…. these books feel powerful. I haven’t read any of them yet (I don’t think his books made it to Spain), but now I can’t wait to get my hands on them! That’s fascinating and profound! Oh, I do hope you get to read some of them. Enjoy! Allen Say’s books are art. Agreed! How interesting. I find my own parallels with him as well and he has this way of making specific life experiences feel universal, touching us all deeply. Thanks for stopping by! A new to me author. Thank you for the introduction! I’m drawn to Music for Aluce, Erika-San, and Tea with Milk. I will head straight to the “S” shelves the next time we visit the library. We have a winner! Congratulations to Lise! I became a fan with My Grandfather’s Journey – Beautiful! Thanks for introducing me to a few that I did not know about! I have to say, I really appreciated this list with your reviews. I’m a collector of graphic novels (not comic books 😛 ) and picture books. There is so many books to weed through and I cannot wait to read the books you suggest here. I plan to run right to the library. Thank you.